Schedule a professional steam mattress cleaning now! Easy booking system, you can book online in 5 mins. We will clean, refresh & restore your investments, while you Relax & Enjoy! Carpet, upholstery, rug & mattress are all need to be cleaned and sanitized regularly not only for helthier homes but also for extending the life of your investment. You have just reached the masters of mattress cleaning! With our advanced mattress cleaning methods, we will make sure your mattress is thoroughly cleaned and fresh-smelling. 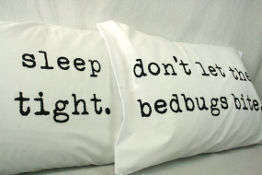 We wish you: Goodnight, Sleep Tight, Don’t Let the Bedbugs Bite You! When choosing a cleaning company for your carpets or area rugs or upholstery, the reputation of the carpet cleaning company is one of the most important things to consider. We are proud of our stellar reputation. Our premium carpet cleaning service is now more attractive to our clients because we treat your carpet odor for Free and deodarize it for free! Yes, it is true, we deodorize and treat your carpet spots for FREE! Our mattress cleaning Auckland involves deep steam cleaning process as performed through the use of latest and advanced low-moisture mattress cleaning tools and liquid solutions. Hot water or steam extraction cleaning is the best deep cleaning method available. This is the best process to clean mattresses thoroughly. Using this method, your mattress will dry instantly and become usable within few hours. Our conditioners and low moisture extraction tools are specially formulated for delicate fabrics. Don’t Let the Bedbugs Bite You! Our professionals are well trained to deal with any tough spots or stains. Our stain removal Auckland services are quick and efficient – so, there is less down time. Your mattress will be dry and ready to use within few hours. Try our services once and see how different we are from the rest. We are sure you will love our mattress cleaning Auckland service and will maintain a long lasting relationship with us! A clean mattress is what everyone loves to sleep on, just try it out and see the difference yourself. We use the most professional mattress cleaning techniques to clean, sanitise and deodorize your mattress. We use safe, non-toxic and 100% biodegradable and environment friendly cleaning products that is safe for all. Our process meets and exceeds eco-friendly standards. 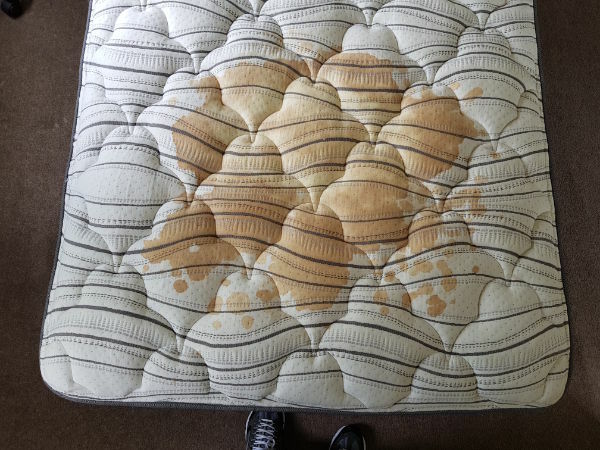 Our trained stain removal and mattress cleaning professionals in Auckland will clean and sanitize your mattress on-site. There is no need to remove the mattress from your bed. Our mattress cleaning system won’t damage your floors, walls or bed frames. Your mattress is something you use regularly, but seldom get it cleaned by a professional mattress cleaner in Auckland. 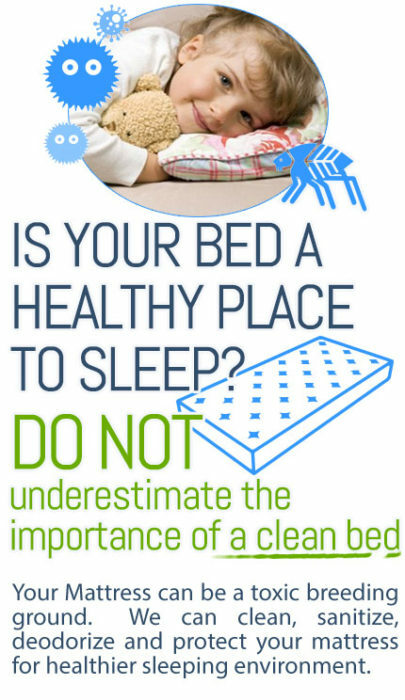 It is always advisable to keep your sleeping mattress clean, hygienic and healthy. 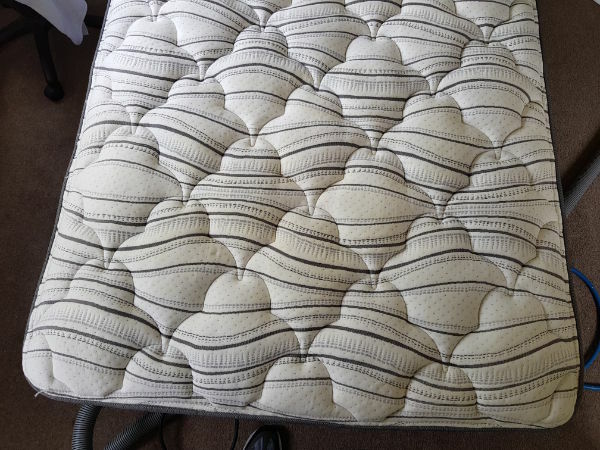 Have you cleaned and sanitised your mattress recently? Do you know, dirty mattress means germs and it is extremely unhealthy for humans? According to major mattress manufacturers, mattresses must be professionally cleaned once every year and we are here to help you in your upholstery cleaning Auckland effort. Carpet Steam Clean – ApexClean is one of the surest ways to ensure clean and sanitary conditions for your family, guests or patients. We are not satisfied until you are not satisfied. You can reach out to us and we will be always at your side to correct any issue that may arise. We use the premium eco-friendly mattress cleaning solutions that are safe for kids and pets. Our excellent mattress cleaning service is now more attractive to our clients because we treat mattress spots* for Free! Our well qualified technicians are always prepared to help you, always show good manners and courtesy. We use the modern and efficient equipment. Thus you will receive the best possible deep restorative cleaning available. We are locally owned and operated, and immensely proud of the fact that we have been serving Auckland successfully for the last 5 years. We have built a loyal following with our customers. Our aim is to provide affordable, professional and eco-friendly service. We want to be your go-to cleaning guy who understands your needs and provides you with personalized care. Call us now for a free quote! ApexClean Carpet Cleaning Auckland is best rated for it’s professional, affordable and eco-friendly steam carpet cleaning. Our friendly, knowledgeable and professional staff is here to help you with your cleaning, sanitization and restoration needs.